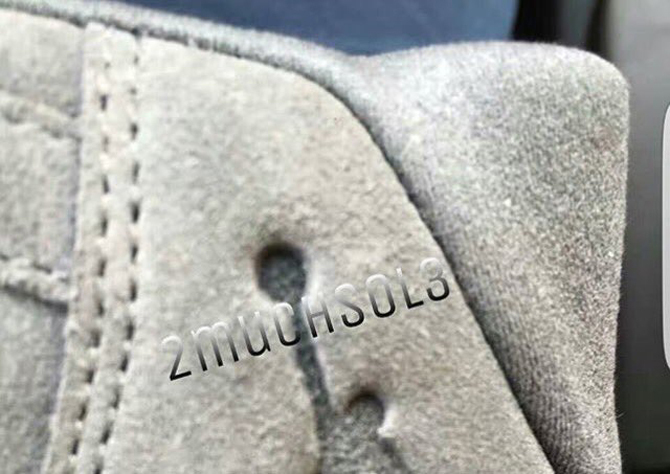 Leaked image of the supposed "Wool" Jordan 11 surfaces. It sounds like the "Space Jam" Air Jordan 11 won't be the only colorway of Michael Jordan's eleventh signature model to release in late 2016. Rumor has it there's a wool edition of the sneaker in the same vein as the "Wool" Jordan 3 and "Wool" Jordan 12. The only imagery to leak of this Air Jordan 11 so far is the above photo. Curiously enough, it looks like the sneaker in the picture has a fuzzy suede on its upper and not wool, but we'll have to wait and see if the final pair does indeed look like this. Perhaps the best confirmation of the "Wool" Jordan 11's arrival came from @J23App, who alluded to the shoe's release with the below tweet. According to rumors, this premium Air Jordan release will cost $400. UPDATE 9/28: A full look at this coming Air Jordan 11 release above. Again, the sneaker appears to be suede and not wool.